Back in 2005, Tom Foremski, the publisher of tech blog Silicon Valley Watcher, famously wrote, “Every company is a media company.” It’s a very profound insight that I think many solar companies take lightly—or completely ignore—so I hope this post will help you realize the potential of the solar media empire at your disposal. First, let’s define what a “media company” is today. You may be thinking of a publishing, film, or broadcasting conglomerate as a media company, and that’s certainly true. The Big Three broadcast networks, every cable channel, every radio station, and every print or web magazine is 100% a media company because their main function is to create and disseminate information to an audience, whether it’s entertainment in the form of Game of Thrones or the latest Stephen King novel, or a stream of news and non-fiction information emanating from CNN and The New York Times. No matter how small you are, you must also realize that your solar company has an inherent media company, too. Even when it’s just one installer’s verbal word-of-mouth media, that person is creating and disseminating solar information. Without that verbal media, few if any would ever know or care about the installer’s company. Your magazine and op-ed division: Your blog. Your broadcast video division: Your videos on YouTube. Your news division: Your press releases. Your mobile satellite communications division: Your email and cell phone. Your subscription magazine division: Your newsletter. Your theater division: Your booth at a solar conference. Your interactive media division: Your Facebook, LinkedIn, and Twitter accounts. Your radio division: Your podcasts and internet radio. Your advertising division: Any self-purchased digital ad. Your graphic and photo processing division: Your Adobe Suite. Your billboard advertising division: Digital advertising. Your Yellow Pages division: Your website with proper SEO. Whether you effectively use any or all of your media divisions is up to you and your parent company. Sadly, solar parent companies often constrain their in-house media empires with tight budgets and limited media staff, and that’s a shame. 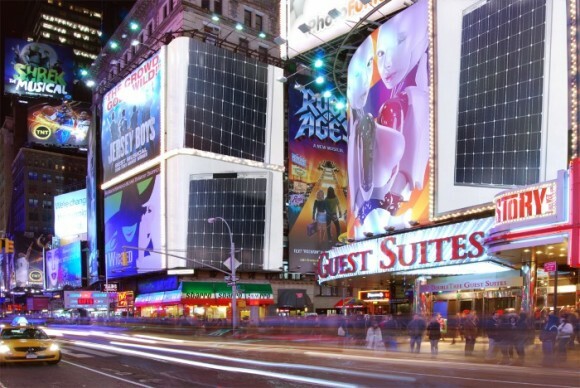 As all solar sectors become increasingly competitive and utilities use their own media empires to affect policy, solar companies will need to expand and utilize their media empires. If we don’t and we allow our individual media companies to languish, you can be sure that utilities, their lobbyists, and dirty energy companies will use their own media empires to create and disseminate information that may eventually lead to us all shutting down our solar media companies—and their parent companies too. UnThink Solar.